Looking for a New Toyota Yaris iA in your area? CarGurus has 1,301 nationwide Toyota Yaris iA dealers with 440 new car listings. When Toyota shuttered the Scion brand at the end of the 2016 model year, the future of many models were left hanging in the balance. Would they be going up to the great parking lot in the sky, or would they become Toyota? The majority of Scion’s lineup transitioned to Toyota. A prime example is the subcompact Yaris iA. Only on sale for a year as a Scion, moved over to the Yaris lineup in 2017, and gave buyers the choice of hatchback or sedan. Toyota borrows design elements from partner automaker Mazda for the Yaris iA. 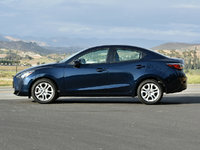 The flowing lines, sculpting on the doors, and short rear end are all trademarks of the Mazda3 and 6 sedans. 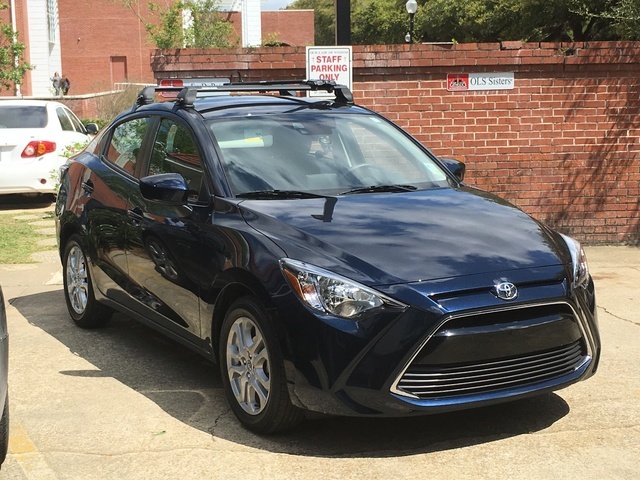 Toyota modified the front end, by giving the Yaris iA a larger lower grille and swapping the badges. The front is a determining factor for most choosing the iA. To some, the large grille adds an aggressive touch and helps the Yaris iA stand out. More of Mazda’s DNA can be found in the Yaris iA’s interior. The layout is similar to the Mazda CX-3 crossover; Material quality is better than what’s on offer in the Yaris hatchback including more soft-touch materials and firmer-feeling hard plastics. Controls have a solid feel and are within easy reach for the driver and passenger. The front seats offer basic adjustments and provide decent support for long trips. The lack of a center armrest may cause discomfort, but one is available as a dealer-installed accessory. Rear head and legroom is limited, but trunk space is above average for subcompact sedans with 13.49 cubic feet on offer. The Yaris iA comes standard with 60/40 split folding rear seats. A 7-inch touchscreen with a control knob comes standard on the Yaris iA. The touchscreen features a redressed version of Mazda Connect infotainment system. Reviewers like Mazda Connect as it provides impressive graphics and intuitive controls. The interface will take some time to understand its various idiosyncrasies but quickly becomes second nature. Reviewers are critical of the touchscreen itself. It is difficult to tell which parts of the interface are touchscreen-enabled, so it becomes a case of trial and error. Most say that buyers are better off using the control knob. Yaris iA exudes what’s missing from the standard Yaris—driving fun. Along a twisty road, the Yaris iA shows a surprising amount of athleticism with sharp responses from the steering and minimal body roll. The ride is compliant with a few bumps making their way inside. Road and wind noise are kept to very acceptable levels. In terms of safety, the Yaris iA comes standard with antilock brakes, traction and stability control, a full set of airbags, and a low-speed pre-collision system that can automatically apply the brakes if the driver doesn’t respond. 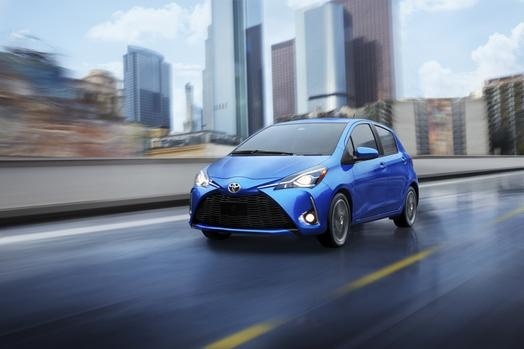 The Yaris iA misses out on the Toyota Safety Sense C (TSS-C) suite of active safety equipment that includes lane departure warning and automatic high beams. The National Highway Traffic Safety Administration (NHTSA) is the only group to the crash test the Yaris iA where it earned a 5-star overall rating. The 2018 Toyota Yaris iA starts at $15,950, only $315 more than the Yaris hatchback. What's your take on the 2018 Toyota Yaris iA? Have you driven a 2018 Toyota Yaris iA? Enter your zip to see incentives for a new Yaris iA in your area. Looking for a Used Yaris iA in your area? CarGurus has 1,289 nationwide Yaris iA listings starting at $7,899.